It is a tool that allows us to create, access and share Word, Excel, OneNote and PowerPoint documents. The office suite Microsoft Office has been with us for a long time. Most users use it or have used it on their computer at some time. 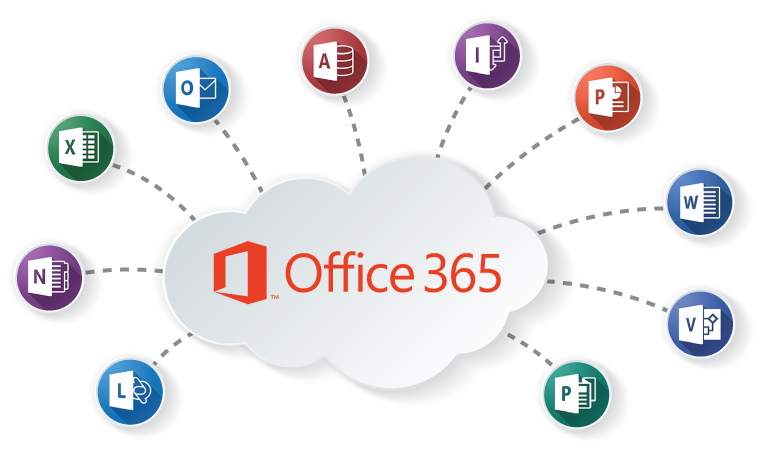 Office 365 is a tool that allows us to create, access and share Word, Excel, OneNote and PowerPoint documents. In this sense, it does not present changes with a normal Office package, but the difference is that you can access all the programs in real time. In addition, we can access from any device that has Internet access and OneDrive. In addition to these programs, we also have a series of additional tools. Office 365 is something that is used in companies since it allows us to work on documents in a shared way. Several people can edit documents at the same time. Ideal if there are people working in different parts of the world. In general, desktop applications can be used on up to five devices (in their home version). Whether a computer, tablet or smartphone. In this way, wherever you are, you will have access to your documents or files that have been stored in the cloud in a very comfortable way. It should also be mentioned that Office 365 is updated frequently. So we usually find new functions in the software. All of them allow us to make more efficient use of these tools. Each of the options offers us additional features, so depending on the needs and the use that we will give, there is an option that suits us more. As you can see, in most cases the payments are annual. Although we also have the possibility to pay monthly, this is usually somewhat more expensive. As is logical, each version includes different features. So it depends on what the company wants to use, more convenient one version or another. Here you can see all the functions offered by the different versions, both for home and for business. It is an option that stands out especially for allowing users to access their documents from anywhere. Since it does not matter where you are, you will be able to access and work comfortably. Simply have access to the Internet to work in any of the programs of the suite. For companies, it is a good option because it offers all the services in a single package. So in addition to the programs to create documents, we have many additional tools. All designed to make the work more comfortable.